Pop quiz, folks! What do the following states have in common? (No, you do not need to answer in the form of a question, either). Yes. They all have people. And flora and fauna. Yes. They all contain the letter “A.” But that’s not it (even though that’s kind of cool). All of these states are now receiving distribution of delicious, gluten-free and crafted to remove gluten New Planet beers! You read that correctly. 2019 is shaping up to be an incredible year not just for us here at New Planet, but for all of our fans in the aforementioned states. For years, we’ve proudly brewed and sold our beer in our home state of Colorado. Given Colorado’s proclivity for tourism and visitors from all over the country, one common theme we’re always hearing is, “When are you going to come to my state? !” And every time we had to say “We’re not sure yet!” it would break our hearts as much as it broke yours. Slowly but surely, we’re having to say that phrase less and less thanks to this increase in distribution! As 2019 starts with a bang, we’re thrilled to say that you can now enjoy one of New Planet’s beers in 9 US states. NINE! And while we would love to be wherever you are, we’ve always focused on making sure that the beer in your glass is as fresh as it can be. So, as we continue to make inroads and build relationships across these new partner states, we’re working tirelessly to ensure that every beer–whether it’s your first New Planet experience or your umpteenth experience with us–is as fresh and delicious as it is meant to be. If you’re unfamiliar with New Planet and our beers, we’d love to take this opportunity to tell you a bit more about ourselves! It all started nearly 10 years ago (is it really that long ago??) when our Founder, Pedro Gonzalez, was diagnosed Celiac. The intrepid outdoorsman and craft beer-lover thought his days of enjoying a cold one after rigorous hike were over. Thankfully for him (and us), though, he made it a personal mission to start making the beers he loved, just without the gluten. What started out as a curiosity and a hobby quickly turned into something much greater than a Celiac homebrewer making beer in his kitchen! As Pedro started talking with more and more people who were Celiac or had a gluten sensitivity, he realized he wasn’t the only one who had missed the feeling that comes with enjoying a cold one with friends and family. After recipe tweaks and countless taste-testing, New Planet Beer was born. Since then, we’ve been crafting incredible beers that are both gluten-free and crafted to remove gluten. Over the years, we’ve been humbled and inspired by the many stories our customers share with us. 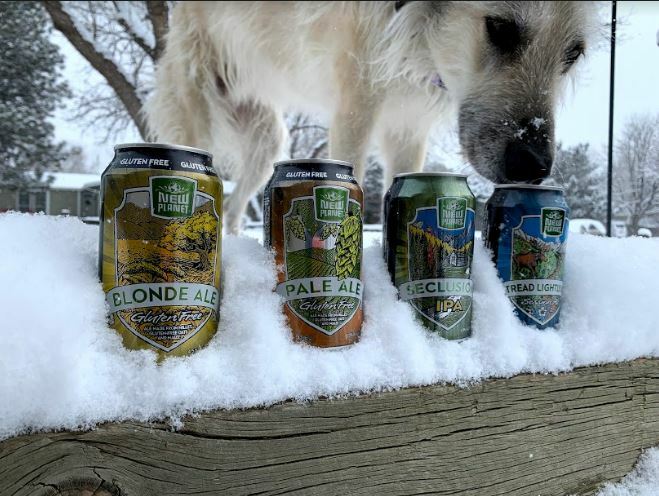 Our beers have been on some of the nation’s tallest summits, accompanied our friends on whitewater rafting trips, served as supporting players in the toasts and celebrations of the lives of our customers. Now that New Planet Beer is sold in more states around the country, we’re thrilled to be part of your life, too. We have a lot of exciting developments happening in 2019, so stay tuned! Please check out our Beer Locator to search for locations near you. In the meantime, wishing you a wonderful New Year and cheers to 2019! Tags: new locations for new planet beer, new planet beer locations, where ccan buy new planet beer.